10. Nocturnal habits limit available light shooting. 9. Claw hands tear through film. Cannot operate tripod, remote flash, or computer tether. 8. Echolocation limits pinpoint focus, and zone focusing not appropriate at night. 7. Easily distracted whenever fruit is in the vicinity. 6. Lightweight. 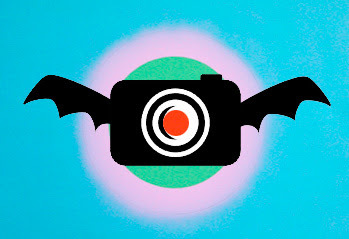 Can't support heavy cameras for long hours, and smaller point-n-shoots are generally designed to be batproof. 5. Chronic chimping exacerbates white-nose syndrome. 3. Large ears make it hard to blend into crowds unnoticed. 2. Unfounded myth of poor eyesight discourages photo agencies from signing bats to contracts. 1. Photos easily categorized: Motion blurred or upside down.